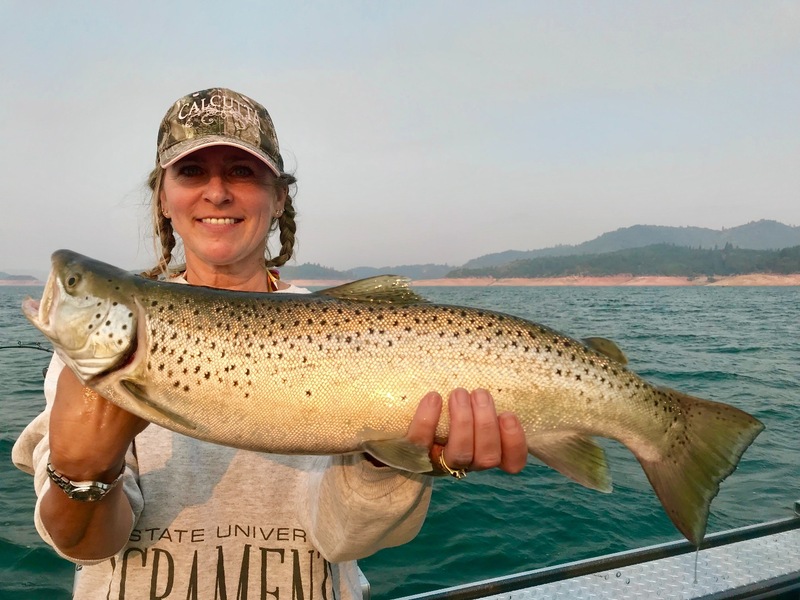 Shasta Lake continues to produce some quality trout! 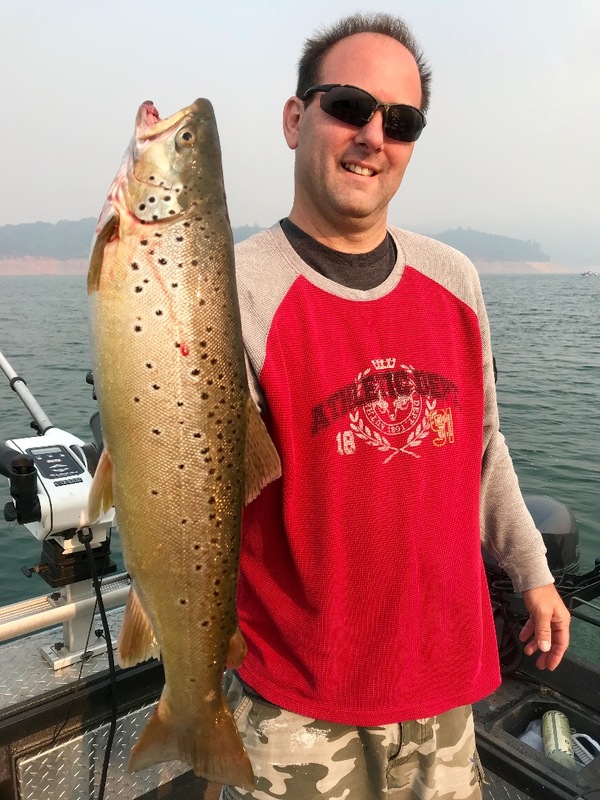 Another personal best brown trout comes aboard the Jeff Goodwin Guide Service Willie Boat! 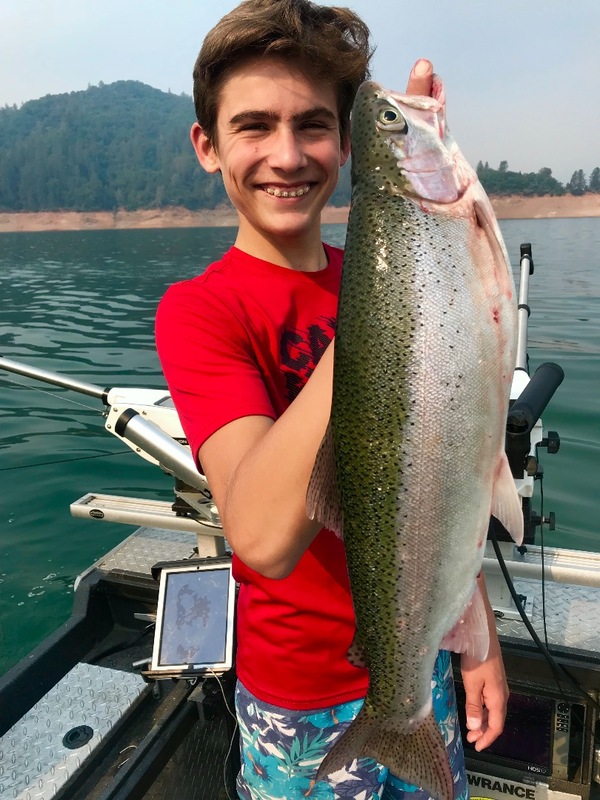 Today we fished Shasta Lake and although the bite was a little slower than usual, we still caught some quality fish. 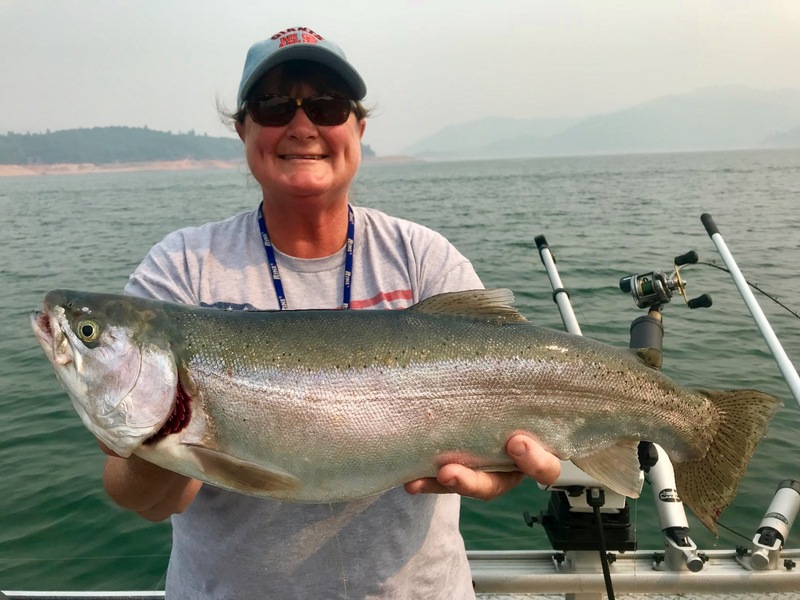 The Smoke was a little thick on Shasta to start the day, but by mid day most of it had cleared out of the area. Its likely to vary day to day, but its been tolerable so far. Especially when we are catchig big beautiful trout!